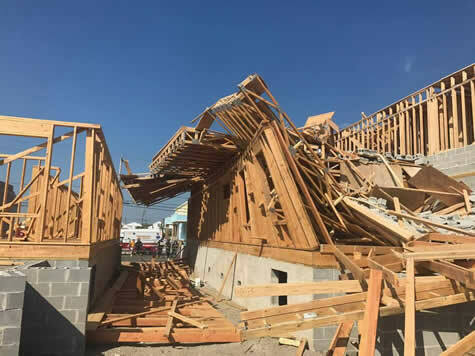 Quint Company 3, under the command of Firefighter Gerard Vessels, operated at this building collapse on June 18, 2017 in North Wildwood. 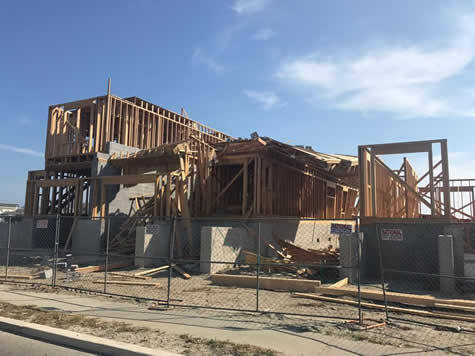 At about 16:10 hours, NWFD and WFD units were dispatched to the 400 W block of Spruce Avenue for a Structural Collapse. The Cape May County -Regional Urban Search Team (R.U.S.T.) was also dispatched. The buildings were under construction although no workers were present at the time of the collapse. No injuries were reported. 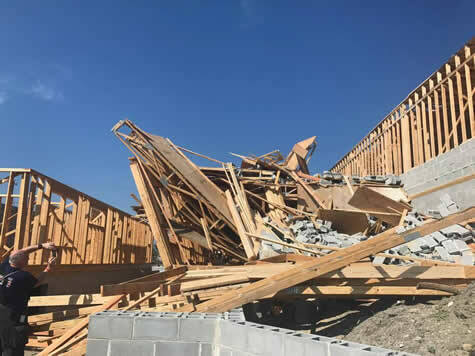 High winds are suspected to have caused a masonry wall between the buildings to topple.